Not feeling the PS3 Slim? 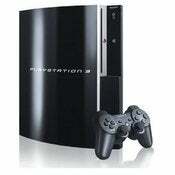 Short on cash yet really jonesing for a PS3 something fierce? This deal may be for you, if you don't mind the fatter, older hardware. Just head over to SonyStyle and check out the $50 they're hacking off the price tag for the PS3 "fat" console. They're also throwing in a second Dualshock3 wireless controller with the 80 and 160GB consoles through Halloween.